Are pili nuts good for you? It’s been said that the current status of the pili is equivalent to that of the macadamia some 40 years ago. Back then, macadamia were an uncommon, niche nut. Today, everyone has at least tried them. They’re in demand worldwide. They’re considered a luxury food that fetches high prices in Hong Kong, South Korea, and Austria, among other places. Much like the macadamia was several decades ago, the pili is primarily consumed in just one country. In the Philippines, they’re as common as peanuts are in the US. As we do with those, they love to roast ’em, fry ’em, and sugar ’em up. That’s too bad because in a more natural state, they’re worthy of superfood status. Pili, which is pronounced pee-lee, is a nut that come from a large evergreen tree native to Southeast Asia and Northern Australia. Its scientific name is Canarium ovatum. Being a tropical species, it can’t tolerate frost or grow in cold climates. The tree is in the same family as frankincense and myrrh (Burseraceae). Photo by USDA. Ruler is in centimeters. A black teardrop-shaped pulp in on the outside. Underneath is a brown shell. Inside that is the edible nut (seed). Not shown in the above photo is the delicate brown skin (testa) which covers the white nut. Similar to how infrequently you encounter redskin peanuts, most pili are eaten with their skin removed. That’s why they look greenish-white when fresh and off-white after roasting. Each nut is about 1.25 inches (3 cm) long and has a width of ½ inch (1.5 cm). 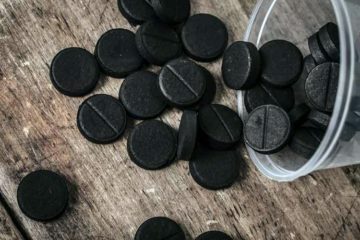 The outer black pulp shells are typically boiled so they’re easier to break or cut. Traditionally, Filipinos will open the shell with the whack of a bolo knife. Uses of pili shell include boiling them, to make an edible mash. It has the look and texture of mashed sweet potatoes. Even though the shell is edible, too much can cause diarrhea. The kernel in the center is considered the nut. It’s the most prized part for eating. 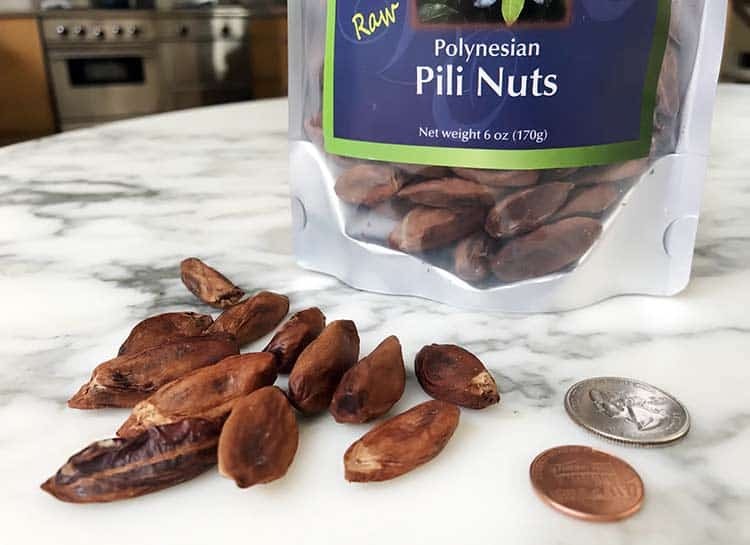 What raw pili nuts taste like are roasted pumpkin seeds, with a subtle sweetness. They’re not crunchy, so you don’t have to chew them much. The high fat content creates a moist and creamy texture on your tongue. Cooked and roasted pili have a different flavor than raw. Their taste is comparable to almonds, but with an underlying flavor reminiscent of pine nuts. The fat makes them smooth and filling like macadamia. They can be eaten plain, roasted, or seasoned. New uses include dairy free pili nut yogurt and butter. What is the English word for pili nuts? There isn’t one. We haven’t yet come up with our own moniker. That’s perfectly fine though, as the Filipino word is easy enough to say and spell. They are the highest fat and lowest carb nut. Their caloric density isn’t ideal for weight loss but it’s perfect for ketogenic diets. The fat is mostly heart-healthy monounsaturated, with a profile comparable to olive oil. The volcanic ash they grow in leads to higher mineral content versus almonds and peanuts. Pili have more magnesium than almost any other nut, as well as high amounts of phosphorus. Calcium, iron, zinc and several trace minerals are in moderate amounts. The B vitamin, thiamin, is the most noteworthy. At 201 calories per ounce, pili are comparable to macadamia at 204 calories and pecans at 196. They are only slightly higher than Brazil nuts at 186 and walnuts at 185. When compared to almonds, peanuts, pistachios, and cashews, pili nuts have about 25% more calories. Although high in calories, the concentration of essential minerals in pili is greater than most other nuts. This makes them good for you in moderation; you just don’t want to eat fistfuls at a time. Being that it’s a relatively unknown nut outside of the Philippines, almost no medical research has been published on pili. You only get 4 results if you search the nearly 30 million citations in the PubMed database for the scientific name (Canarium ovatum). No one has conducted ORAC value testing on pili, so it’s hard to pit it against other nuts in a quantitative fashion. In 2017, the biology department at a Philippines university evaluated the antioxidants in pili nuts using other methods; DPPH (2, 2-diphenyl-1-picrylhydrazyl) and FRAP (ferric reducing ability of plasma) assays. In plain English, those are less sophisticated ways of measuring how much antioxidant activity there is. Using ethanolic extracts of the pulp and nut, the free radical scavenging ability is impressive according to the FRAP test. 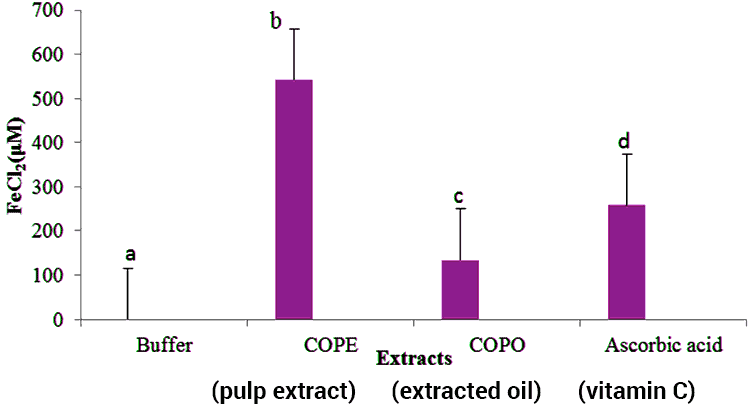 The above chart shows how extracted pulp oil (COPE) has more antioxidant activity than vitamin C. The nut oil (COPO) has about half the activity. Angiogenesis is the process of growing new blood vessels. This process promotes cancer growth, because tumors can only grow so big, until they need new blood supplies to feed them. 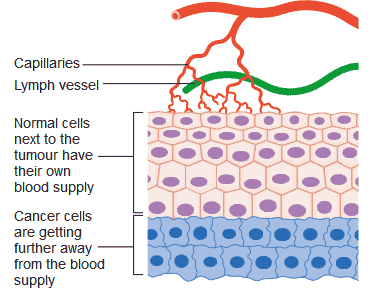 That’s why many cancer medications are angiogenesis inhibitors; they help to suppress this process. A common experiment for measuring angiogenesis is the chick chorioallantoic membrane (CAM). Fertilized eggs, such as those from chickens or ducks, are incubated and monitored as the embryo develops. A compound can then be added to see how it affects blood vessel growth in the embryo. In the same study which measured antioxidant activity, the researchers used nut oil in a CAM test. A = pure corn oil. The rest are corn oil with pili oil added at (B) 25%, (C)50%, and (D) 75% concentrations. Or in a nutshell, compounds in the pulp – which is normally a waste product – might have benefits for reducing angiogenesis. To be clear, no anti-cancer effects have been tested or proven in humans or mammals. This is a very preliminary finding only. Pili should not be used to treat, cure, or prevent any disease. 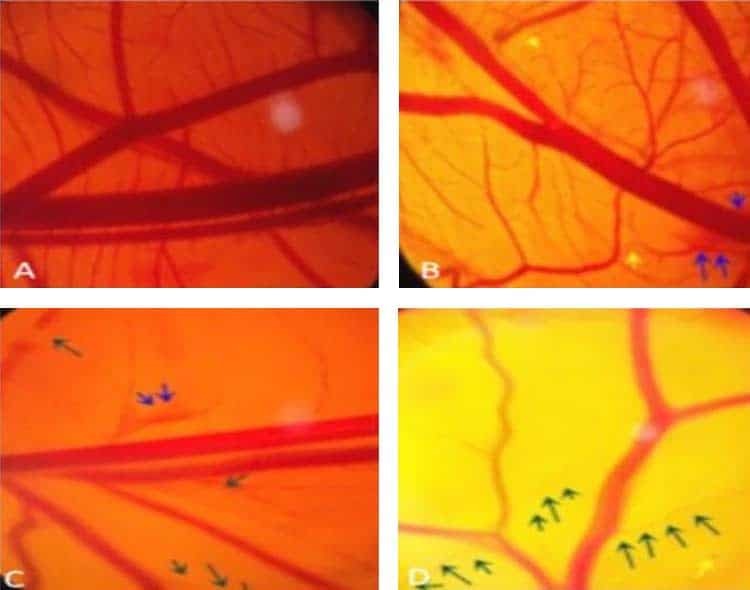 No research exists on these eye diseases but it’s worth noting that as with tumor growth, angiogenesis is associated with the progression of diabetic retinopathy, age-related macular degeneration (AMD), corneal vascularization, neovascular glaucoma, and retrolental fibroplasia. All of these involve excess blood vessel growth in the eye. Given the 2017 findings from the CAM test, hopefully researchers will dive into this topic. According to those who did the CAM test, the anti-angiogenesis effect was due to specific flavonoids and triterpenes in the pulp. Those are not found in the nuts, or they’re in small amounts. There’s almost no dietary fiber in pili nuts. The amount in a 1 oz. serving rounds down to zero grams on the nutritional label. The skins of the uncooked raw kernels contain a compound that can have a laxative effect. It’s gentle enough where a normal serving size of say, an ounce or two, won’t be disastrous. Yet it feels like your daily colon cleansing is healthier and more complete, similar to amla and triphala powder in Ayurveda medicine. This table shows the fatty acid profile of oil made from pili pulp and nuts. Similar to extra virgin olive oil, pili oil is high in the healthier monounsaturated fats. This includes high amounts of the omega 9, oleic acid. Contrary to what some sources report, neither olive nor pili are a good source of omega 3. Only trace amounts of less than 1% are present. The myth there’s omega 3 in pili probably stems from the fact that it contains omega 6 (linoleic acid) but not the similar sounding alpha linolenic acid (18:3). Nor is it a source of medium chain fats (MCT oil). Virtually 100% is in the form of long-chain. Saturated make up roughly 40% of pili nut’s fat content. 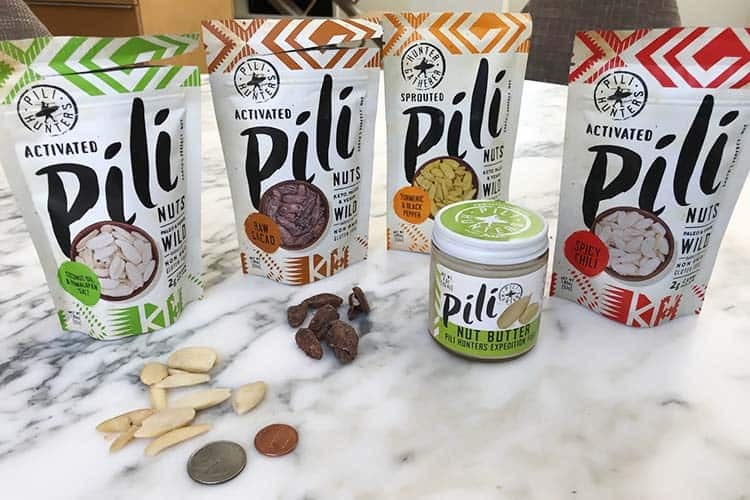 This component is not ideal but when compared to animal-derived fats like dairy and butter, the benefit of pili is that it’s a cholesterol-free alternative. Since this nut is almost entirely fat, very little room is left over for protein and carbs. At 3g per ounce, pili nuts don’t have much protein. What they do have though is a complete source, with all of the essential amino acids present. Not the nuts, but rather a compound found in pili tree leaves has demonstrated anti-viral activity. There aren’t other tests, so it’s unknown if this benefit exists for other viruses or in real-world scenarios of infections. 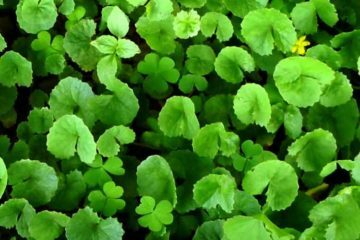 In a lab experiment, Indian scientists tested pili leaf extract with silver nanoparticles. Why combined? Because there’s a fair amount of research which suggests colloidal silver benefits might be synergistic when combined with antimicrobials and antibiotics. 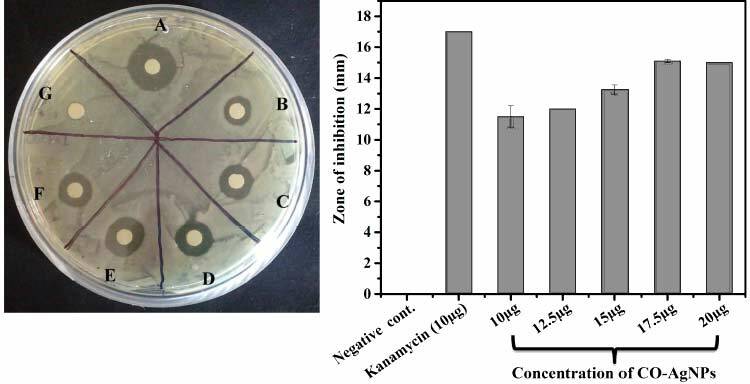 In a dose-dependent manner, the Canarium ovatum leaves (CO) and the silver nanoparticles (AgNPs) inhibited the growth of Pseudomonas aeruginosa. That’s a type of bacteria that causes infections in plants, animals, and humans. They pitted its performance against kanamycin (2nd bar from left). That’s a potent antibiotic used for severe infections and tuberculosis. You can see how the 20 ug dosage of leaf extract and silver nanoparticles performed almost as well as the kanamycin antibiotic. It’s worth emphasizing that 20 ug concentration is the equivalent of just 0.002%. The pili tree produces a resinous gum. Historically, it’s come in handy. Filipinos have used it for boat repairs and waterproofing. The fact that it makes gummy sap is no surprise, given that it’s in the same family as frankincense and myrrh. See what did Jesus eat for more info on those (spoiler: no evidence he ate them, but there is for other superfoods). Using this pili gum resin, researchers at a Japanese university isolated four known sesquiterpene alcohols from it. Next, they tested them on mouse melanoma cells. Even at very low strengths, they inhibited melanin production by 27.4% to 56.9% “with no or very low toxicity to the cells.” This was due to their influence on enzymes in the skin (MITF, tyrosinase, and TRP-2). Since there is limited research available on pili nuts, the full list of potential side effects is unknown. Today there are over 100 million people living in the Philippines and its a common food there. Even with its widespread consumption, reports documenting major adverse reactions from pili remain to be seen. This suggests its safe to eat and is well-tolerated among most people. Diarrhea may occur if you eat too much of the pulp or skin. No published case studies document a pili nut allergy. However, allergic reactions to any food, including this one, remain possible. Pili are gluten free but those with tree nut allergies should consult a doctor before eating. 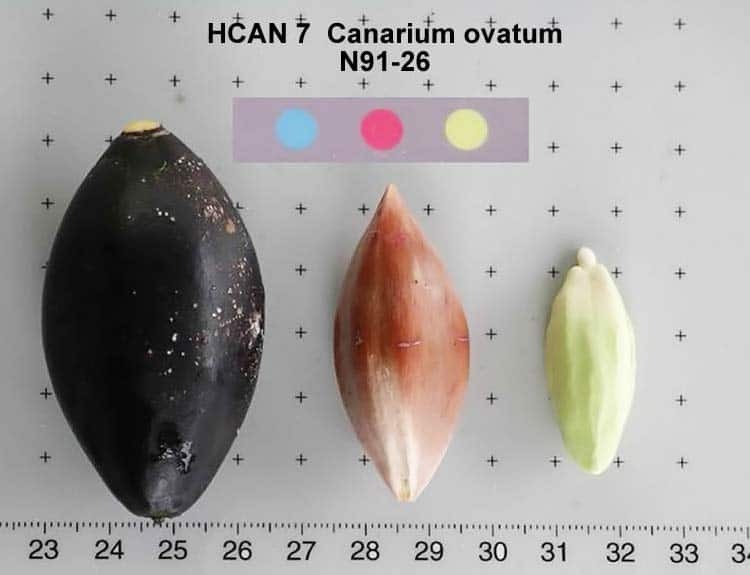 The good news is that it’s in a different plant family than almost every other tree nut and therefore, cross-reactivity with common nuts is unlikely. It’s unknown if there are drug interactions. Pili nuts for pregnancy are likely beneficial, given their mineral density. Since no research exists, it’s unknown if there are complications for pregnant women and those who are breastfeeding their baby. There’s no evidence to suggest risks, but pili can’t be ruled as 100% safe without more data. 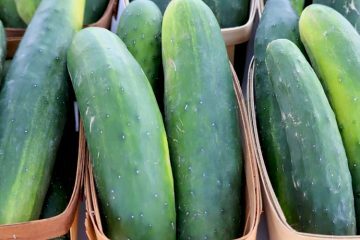 These aren’t a food you can pickup at Walmart, Trader Joe’s, or your average grocery store. 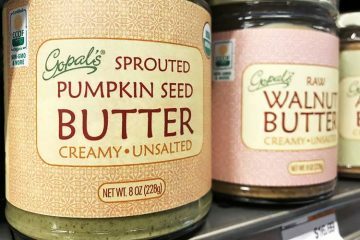 Even at specialty food markets, you may be out of luck. Only a few years ago did exports from the Philippines begin. 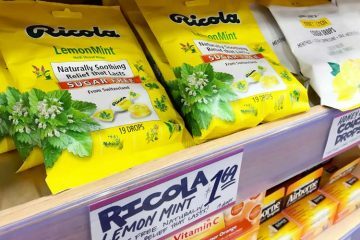 Supply is limited and it’s rare to find them for sale at stores in the United States, Canada, United Kingdom and other European countries. If you find them, don’t expect USDA certified organic. All sources will be non-GMO though. 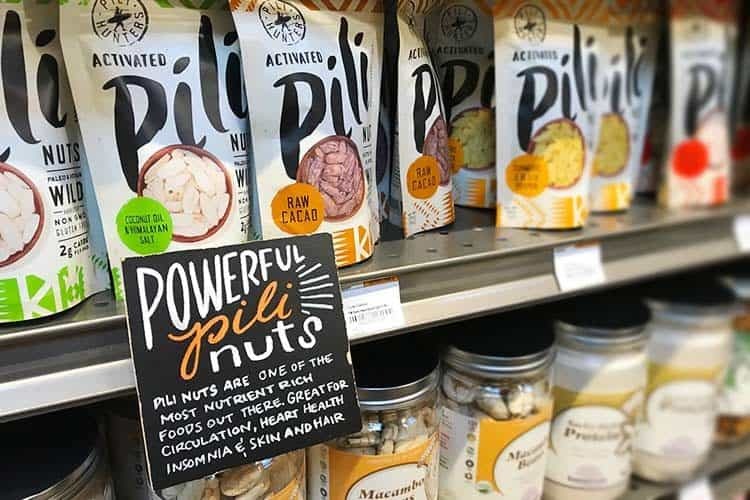 Some Whole Foods carry Hunter Gatherer pili nuts in the US, but not their London locations. They are a brand which are sprouted and then roasted. You can buy Hunter Gatherer online on Amazon as traditional style cooked in coconut oil, raw cacao, and turmeric with black pepper. Or try the flavor variety pack. They also sell pili nut better. All delicious! 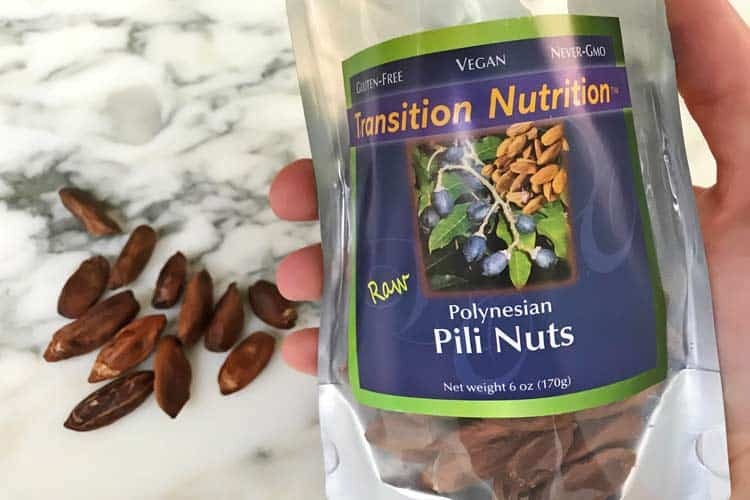 The brand Transition Nutrition has raw pili nuts for sale. 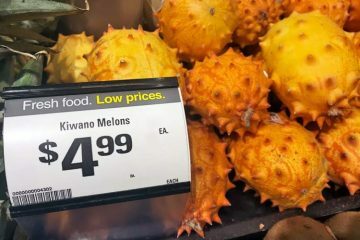 We haven’t seen them in-store at Whole Foods but we have bought them through Amazon. Here’s the link for raw.